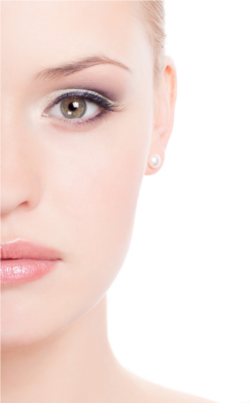 Many women in the South Bay have discovered the amazing benefits of Permanent Make-Up. Applying traditional make-up every day is time consuming and it is difficult to get it perfect every time. The permanent application of eyeliner, eyebrows, and lipliner will save you time and help you look fresh, 24 hours a day. Yes, it is a tattoo, and no, you cannot tell it is not make-up. A free consultation is offered to anyone interested in looking younger with Permanent Make-Up. Before and after photos are available for your consideration. Permanent Make-Up can camouflage the lack of hair in the eyebrow line. Light shades of color are implanted with a shadow technique to achieve a soft, powdery eyebrow color. Anyone who desires more fullness in their eyebrows will love the results of this procedure. Now you can swim, play tennis, or wipe your forehead without fear of smearing your eyebrow make-up. A subtle, natural look, creating the illusion of full, lush eyelashes is achieved by implantation of pigments in the lash line. Additional shadowing of color can create a soft "smudged" look or a more bold definite line can be created as well. This can appear to change the size and shape of the lips as well as the color. It can also help prevent lipstick from bleeding into the surrounding skin. It can also camouflage facial lines surrounding the lips as a result of aging. A soft pinkish-red, similar to the lip color of a newborn baby, is popular for those with pale lips. There is very little discomfort in permanent make-up procedures where a topical anesthetic may be applied. Definitely. There is a wide range of colors that you may choose from. Of course. You will be fully aware during the procedure, instructing the technician where you wish implants to be located. In some cases there will be a slight swelling and redness of the skin, which will subside quickly. You may resume normal activities immediately following the procedure. Normal healing is a process with final results not fully realized for at least two weeks.